The Cool Davis 2014 Eco-Hero awards for Consumption go to Ivy Zhou and Marissa Wong for their Green Team leadership at Holmes Junior High School, while Davis United Methodist Church receives a Climate Solution award for its exemplary efforts to become a “green congregation” and help the hungry of Davis, too. If you visit Holmes Junior High at lunch on Wednesday you may find members of the Green Team – the school’s environmental club – standing at one of the 13 waste stations set up around the campus educating and assisting other students about the different options they have for disposing of their lunch waste. 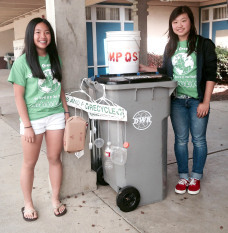 This is just one of the ways students on the Green Team at Holmes, led by 9th Graders and eco hero nominees, Ivy Zhou and Marissa Wong, are working to encourage other junior high students and teachers to do what they can to save energy, minimize waste, and reduce carbon dioxide emissions. Holmes Jr. High does not currently participate in the city of Davis’ Pilot Food Composting Program, so in order to help reduce that amount of food waste that ends up in the trash at school, Marissa Wong, as part of her Silver Girl Scout Project, and the Green Team at Holmes, initiated an on site composting program. They sprayed painted buckets for food collection, which are placed next to trash and recycling containers around campus, and elicited volunteers to distribute, collect and empty the buckets. 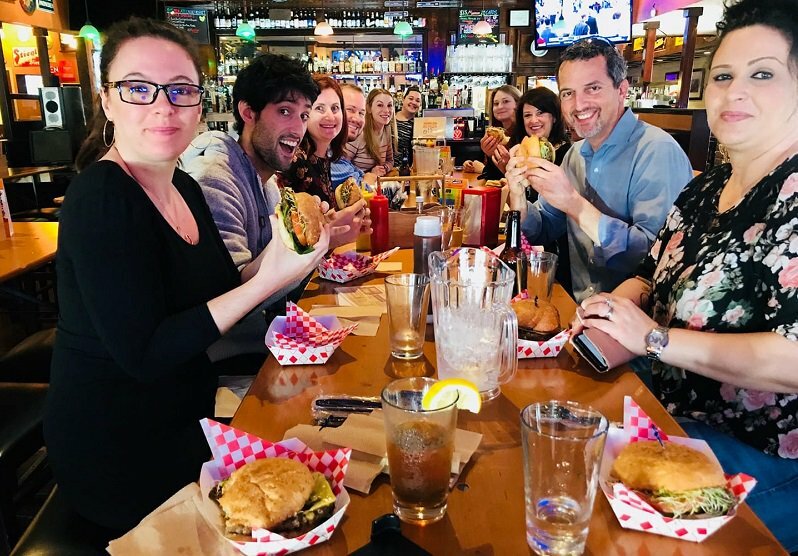 The Green Team has also been working an “iMatter” campaign that promotes the idea that what I do, what you do, and what we all do matters. Students have created icons and slogans such as iBike, iConserve, iCarpool, iSave, and posted these visual reminders around campus. The work of the Green Team has helped Holmes achieve the highest percentage of students who bike to school among all elementary and junior high schools in Davis. When you think of a church, a lot of images come to mind but not often are these images of organic vegetable gardens, solar panels, zero-waste initiatives, or energy-consumption initiatives. That’s what the United Methodist Church of Davis is doing to bring its place of worship beyond the four walls of the chapel and into the soil, the community, and care for the Earth. The United Methodist Church is being awarded a Cool Davis Climate Solutions award for their commitment to reducing consumption and creating a more cool and sustainable place to live and grow here in Davis. If you take a walk through their church you might see Grace Garden, which produced over 1600 pounds of fruits and vegetables last year. 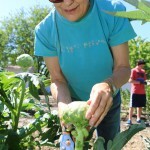 Their reason for creating the garden is simple: to provide healthy, nutritious food to the needy. The church’s solar panels produce 80% of the electricity they use. They did this by design so they could have the challenge of cutting their consumption by 20% to make up the difference. Furthermore they use primarily electronic communication to save on paper waste, use reusable dishware for events, have high-efficient LED lights installed throughout the building, and purchase fair trade coffee. Jim Cramer, the chair of the UMC Davis Green Task Force sees the church’s green initiatives as fundamental to their mission of caring for God’s creation. 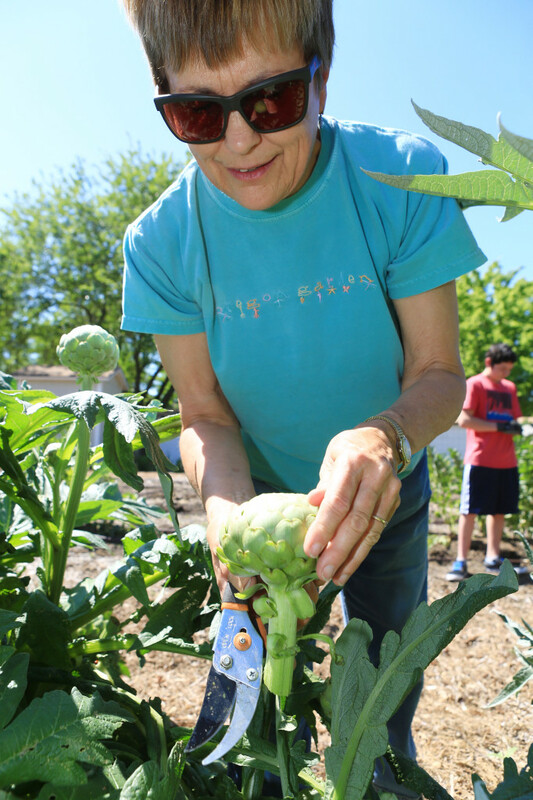 The United Methodist Church of Davis encourages people to come get their hands dirty in Grace Garden every Saturday from 9-11, Monday from 9-12, and Thursday from 2-4.